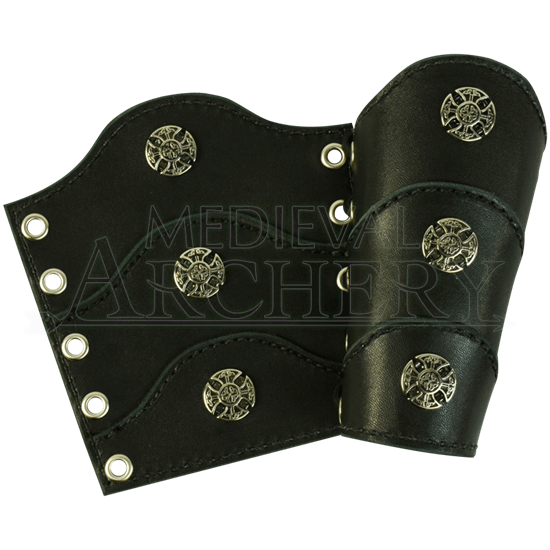 Displaying a trio of Celtic rounded crosses on each arm, these leather bracers provide adornment as well as protection. Your child will love wearing these Childrens Celtic Warrior Arm Bracers to a Renaissance faire or themed event. Hand crafted in our shop from 7/8 ounce leather, these childs bracers are finished with silver-tone hardware. With three segments sewn together, the gentle curves on each segment create a wonderful look when worn. 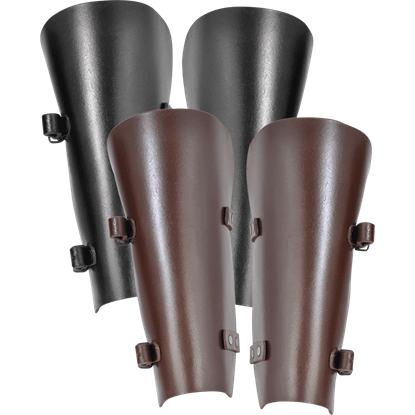 Available in several colors, these Celtic bracers will complement a variety of armour and clothing styles. These youth bracers lace together for a custom fit. 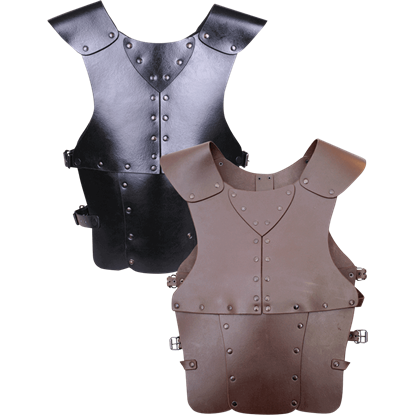 Made from medium weight leather, these Childrens Celtic Warrior Arm Bracers are perfect for LARP events, light reenactment, theater, and costuming.